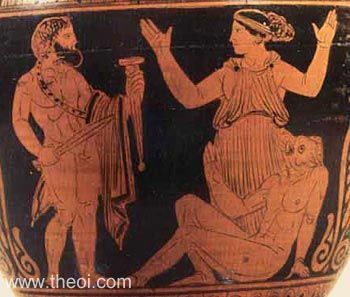 Odysseus draws his sword on the witch Circe to compel her restore his men to human form. The witch raises her arms in a plea for mercy. One of Odysseus' men reclines at her feet with the head of a boar.